Who will save these fools from their destructive do–gooderism? All 62 refugees on the Alan Kurdi ship “will be disembarked and redistributed”, Joseph Muscat announced on Twitter. On Friday, French Interior Minister Christophe Castaner said Paris and other European Union partners would “show solidarity” towards the migrants, who include 12 women and two children, aged one and six. “Off Libya” means they should have been returned to Libya, not given a ferry ride to Italy. 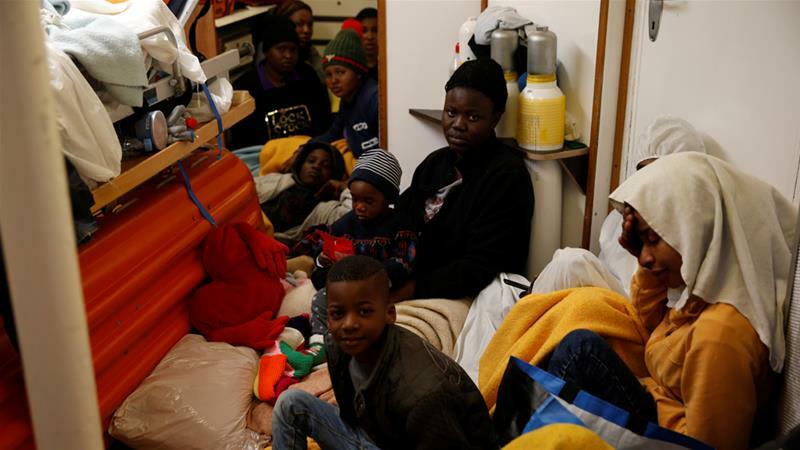 But Italy‘s Interior Minister Matteo Salvini refused them entry and said Berlin should take the migrants because they had been rescued by Sea Eye, a German NGO. “It’s their problem, they must deal with it,” Salvini said, adding he had personally written to the ship’s captain to warn the vessel must “not enter Italian territorial waters”. “Once again, the European Union’s smallest state has been put under pointless pressure in being tasked with resolving an issue which was not its responsibility,” the Maltese government said in a statement. Criminal hypocrites (and all criminals are hypocrites, just as all hypocrites are criminals) have to pretend to justify their selfish double standards – where only they are entitled to ever-more rights, and ever-less responsibilities, while everyone else has to lose their rights to defend themselves from the criminals, and to accept (“tolerate” and Submit to) their responsibility to become and remain the criminals’ slaves – with emotions, since they have no facts. And that means they have to pretend to fear everyone else all the time – they routinely use victim-blaming slander and the stance of paranoia (perpetual “you’re always all out to get me!” fear) and it’s obverse implicit flip-side, masochism (“so I’m also always your helpless victim no matter what”) to do so, which means they have to go looking for excuses to feel butthurt. As criminals, by definition, always attack first, they also only ask for forgiveness (pity) and never for permission. This applies equally to both individuals and groups. In politics, democracies fluctuate between criminals asking for pity after stealing (and/or for pity for other “minority victim groups” as their excuse to steal) and the righteous anger of their victims. Women usually vote for pity over anger, and so usually end up condoning criminals. Most women usually vote for liberals.